Looking for a great promotional tool to help your brand grow? 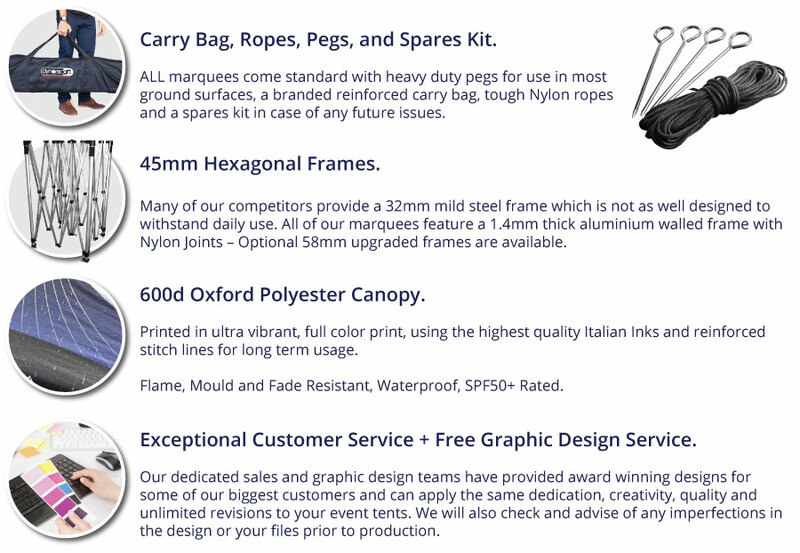 Try a 3x4.5m printed event tent completely customized with your brand name or the logo on for size! The frames of this tent are strong and the fire rated material makes it all the more desirable. This tent is Canadian made and is very durable. 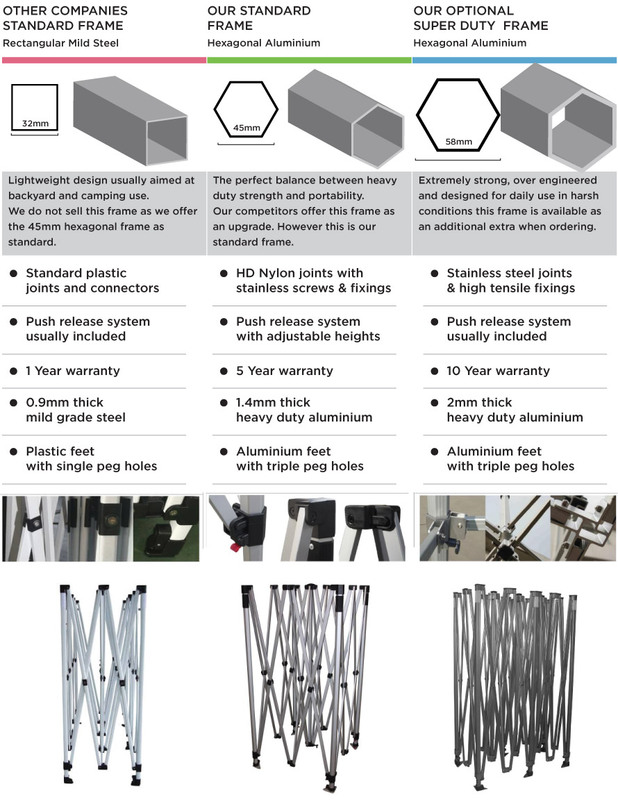 The tent can be dismantled and neatly placed in a carrying bag for later use. Setup is simple and storage is compact. Promotional printed pop up marquee tents are perhaps the simplest way to both communicate your brand, and daily focus your potential customer’s attention on your company. Although focus is diverted to your brand subconsciously, it increases the likelihood that your potential customers will remember your brand when they find themselves in the decision-making process. 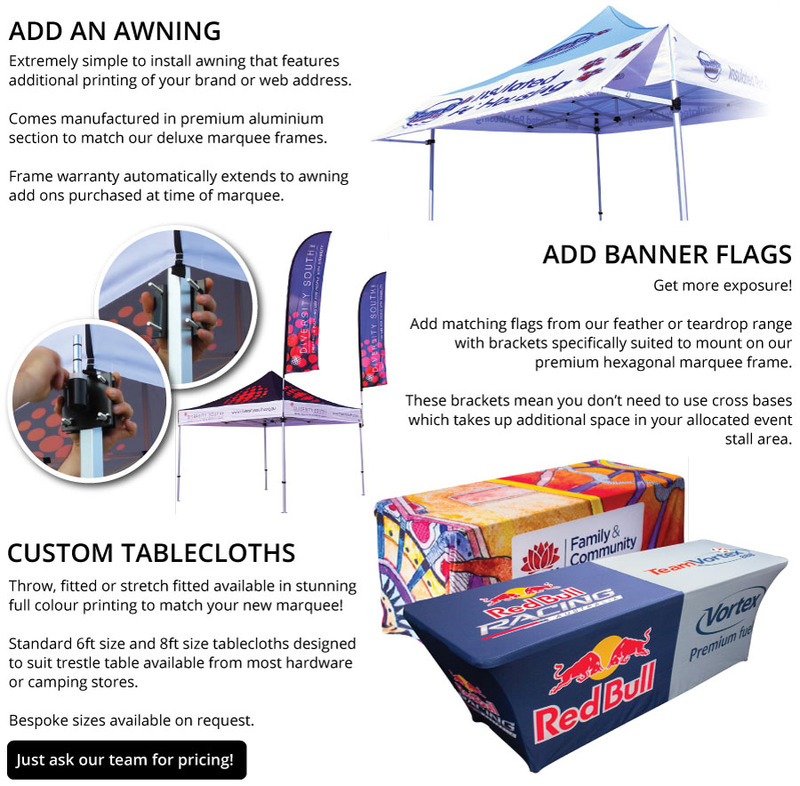 Order the 3x4.5 printed event tent from the leading promotional products supplier in Canada and let your business scale the heights of success.